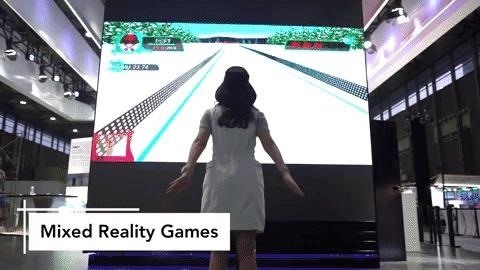 The spirit of Google's augmented reality platform Tango lives on at Vivo, a China-based company that has developed its own 3D sensor for mobile devices. Launched at the Mobile World Congress in Shanghai, the smartphone maker unveiled new ToF (Time-of-Flight) sensor technology and demonstrated its various functions. The sensor is The sensor can compete with the TrueDepth camera of the iPhone X, in contrast to the expansive capabilities of Google's Tango sensors, which affects depth sensors for mobile devices. Vivo actually outperforms Apple in specifications because the Vivo sensor is capable of imaging 300,000 feature points, compared to 30,000 points captured by TrueDepth. "Since the launch of In-Display fingerprint scanning technology last year, the market's recent launch With the truly disguise-free Vivo NEX, as well as our groundbreaking ToF 3D sensor technology, we continue to make progress towards the truly smart future by giving the AI ​​new opportunities to help consumers, "said Alex Feng, vice president of Vivo Statement. "By combining ToF 3D sensor technology with AI, we will continue to explore new opportunities for a better future." 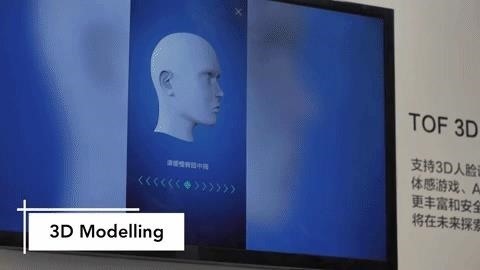 The sensor opens Vivo (and other manufacturers who decide to use the sensor in their devices) not only new possibilities imitate the experience on the iPhone X, namely Animojis, Face ID and Portrait Mode, but also bring new ones Features such as gesture recognition, body tracking, and 3D scanning are closer to a wider range of devices. Despite this, Apple has shown that tight integration between hardware and software an overall smoother user experience. Similarly, Google's Pixel enjoys among the device readers for its high-quality AR software experience. Although the Vivo sensor is an encouraging development for augmented reality experiences on mobile devices, it remains to be seen how well he really is competing once he is in the wild and in the hands of the user.